Alpari (UK) nutzt ECN-Anbindung von Currenex® – Bei unserer Recherche nach einem passenden B2C Liquidity Provider für unsere Mitglieder, sind wir auf folgende News aufmerksam geworden. Hierbei handelt es sich um die zur Alpari Group gehörige Alpari (UK) London, welche ihren institutionellen Kunden als auch Retailkunden, ab Ende August 2009 zukünftig einen neuartigen Marktzugang über Currenex® zur Verfügung stellt. Die interne Bezeichnung lautet hierfür Alpari Direct Pro bzw. Alpari Direct. Bei Alpari (UK) handelt es sich um einen weiteren sog. Primebroker (vgl. hierzu auch ODL Markets), der seinen Privatkunden, über die Infrastruktur von Currenex®, einen Marktzugang zu einem Liquiditätspool von über 60 Banken ermöglicht. Die Mitglieder unter Euch, welche mit Alpari (UK) bereits erste Erfahrungen gesammelt haben, können dies gerne über die Kommentarfunktion äußern. Interessenten sind gleichfalls aufgefordert, ihr Statement darüber abzugeben, ob wir mit diesem Anbieter alternativ Verhandlungen aufnehmen sollten. LONDON, July 15, 2009 – Alpari, one of the world’s fastest growing providers of online foreign exchange (FOREX) services, will launch two advanced trading platforms by the end of August, offering high-speed and direct access to the international currency market for Alpari clients and other institutional and retail customers. Powered by trading technology provider Currenex®, Alpari Direct Pro will be offered to institutional clients while Alpari Direct will be offered to retail customers. True to Alpari’s commitment to providing clients with institutional-level services, both platforms will feature Straight Through Processing (STP), Non Dealing Desk execution (NDD), 1 click Executable Streaming Prices (ESP), accurate pricing with fractional pips and integrated algorithmic models that enable enhanced levels of execution. These features will ensure high speed and low latency execution and will empower traders to optimize market impact and reduce execution costs. An integrated Dow Jones feed will keep users up-to-date with current news. Further to this, Alpari Direct Pro, the execution interface for institutional clients, will provide traders with access to a deep liquidity pool, which aggregates feeds from over 60 global banks and multiple Electronic Communications Networks (ECNs). Alpari Direct Pro shows traders the full market depth and also features 24 order types (including advanced orders such as pegged orders), which empower traders to take control of order timing and execution. In addition, this institutional platform offers intuitive and fast keypad trading capabilities, pre- and post-trade allocation solutions, trade averaging capabilities and sophisticated order management, allocation and advanced reporting tools. Alpari’s platforms are created using Currenex technology. Currenex is a recognized and award-winning leader in providing trading solutions to the active-trading segment of the FX market. 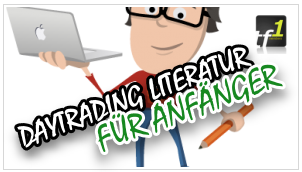 Die neue Ava AutoTrader (AAT) Plattform – Eine Revolution des Auto Tradings? 5. Wird Alpari (UK) in naher Zukunft zudem auch den Handel in Aktien-CFDs anbieten. Mittlerweile sind wir Vertragspartner und Alpari (UK) bietet unseren Mitgliedern Sonderkonditionen an. Wenn sich bei Alpari (UK) am Zeitplan nicht noch etwas ändert, dann können wir unseren Mitgliedern ab Anfang September 2009 auch die angekündigte Forex ECN-Anbindung über Currenex anbieten. Nähere Informationen diesbezüglich zunächst auf Anfrage, bis meine Kollegen den entsprechenden Content auf der Website eingebunden haben. Effective from Wednesday 19th August 07:00 GMT (09:00 MT4), minimum spreads across ALL currency pairs and precious metals on all accounts are tightened. Flexible spread minimums are reduced on average by 25% and up to 60% for some currency pairs compared with previous fixed spreads. With the introduction of additional price feeds, clients can access significantly tighter spreads as we pass on the benefit of the tighter spreads available to us from the Interbank market. Flexible spreads will also bring a greater degree of price-transparency to clients’s trades along with institutional-level pricing and lower transactional costs. The introduction of significantly lower minimum spreads supports our commitment to providing clients with the most accurate Forex pricing, better execution and wider market access. We will also take every opportunity to tighten them further in the future. During certain times of the day, periods of lower liquidity and when there is increased market volatility, spreads will naturally widen. Fully understanding the dynamics of flexible spreads is key to better-informed and more considered trading and the Alpari Academy will soon feature new tutorials and expert, impartial advice on the topic of spreads. Das wäre eine prima Sache! Alpari bietet Superkonditionen… leider zur Zeit alles noch auf Englisch. 1. Der professionelle Marktzugang zu Currenex® (ECN), über Alpari Direct Pro, wird voraussichtlich bereits ab einer Minimum Account Size von 20.000 USD für Retailkunden zur Verfügung gestellt werden. Kleinere Konten erhalten den Zugang über Alpari Direct. 2. Die kleinste handelbare Einheit (Unit) wird 40.000 USD – ab einem Hebel von 1:200 – betragen. Mit zunehmender Size wird diese Hebel gestaffelt reduziert. 3. Der Pool der Liquidy Provider ist mittlerweile auf 77 Institutionen angewachsen! Dies ist derzeit einmalig am Forex-Markt. 4. Zu den geplanten Handelsgebühren wollte Alpari (UK) noch nicht explizit Stellung nehmen. Nur soviel: Sie werden agressiv gestaltet und anderen Mitbewerbern “Kopfschmerzen” bereiten. 5. Der deutsch-sprachige Internetauftritt, mit sämtlichen Formularen in deutscher Sprache, wird demnächst auf http://www.alpari.de gelauncht. 6. Zu den Gerüchten der Eröffnung einer deutschen Niederlassung in Frankfurt bis Ende des Jahres 2009, wollte sich Alpari (UK) aus wettbewerbsrechtlichen Gründen (noch) nicht weiter äußern. 7. Weitere Neuigkeiten, zu den oben angesprochenen Themen, werden von Alpari (UK) umgehend mitgeteilt. Zu diesem Zweck erhält tf1 entsprechende Pressemitteilung, bereits kurz vor deren offiziellen Veröffentlichungsterminen, zur Verfügung gestellt.